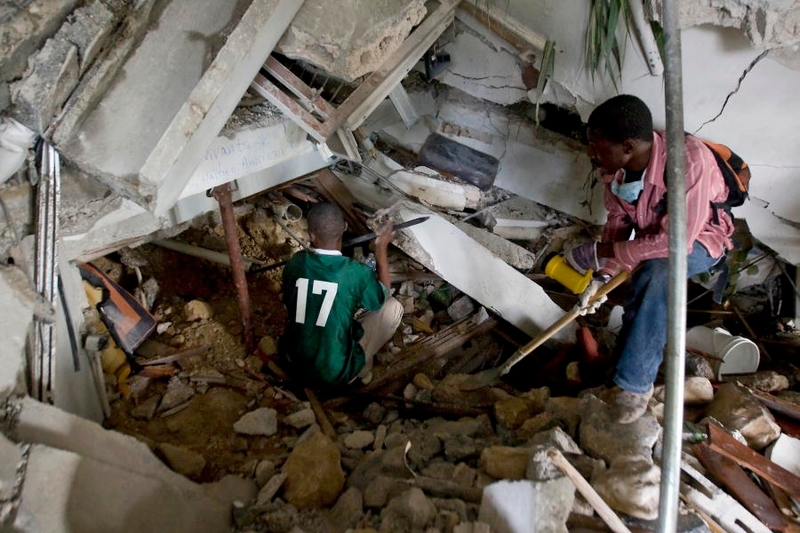 NEW YORK (JTA) — As the death toll mounts in the aftermath of the devastating earthquake in Haiti, the organized Jewish world is lining up support for the rescue and relief effort in the region. With Haiti’s government struggling to cope with the aftermath of Tuesday’s quake, which officials in Port-au-Prince said may have killed thousands, governments and relief agencies from around the world are pouring into the impoverished Caribbean country to help rescue thousands believed to be trapped under the rubble. IsraAID, the Israel Forum for International Humanitarian Aid, dispatched a 12-person search-and-rescue team to Haiti. The coordinating body of Israeli and Jewish organizations, IsraAID also was considering sending a field hospital, including doctors and medical equipment, as well as humanitarian aid. Meanwhile, the list of Jewish nonprofits that have opened mailboxes to help raise money for the rescue and relief effort was growing quickly, and the Israel Defense Forces’ Home Front Command was preparing to send a delegation that included engineering, medical, logistics and rescue experts. Israel’s ambassador to the Dominican Republic, who also serves Haiti, said Wednesday morning that the embassy had not been able to reach Jewish families in Haiti due to downed telephone lines. Relatives of Sharona Elsaieh, daughter of the late peace activist Abie Nathan, say she is missing and have turned to Israel’s Foreign Ministry for assistance. Two other Israelis, a woman and her 9-year-old son, also have been reported missing. Several other Israelis also live in Haiti, according to reports. IsraAID and the American Jewish Joint Distribution Committee are funneling Jewish communal support into Haiti, and the American Jewish World Service is collecting donations for its Haiti Earthquake Relief Fund at www.ajws.org/haitiearthquake. JDC sounded a similar message. Money can be donated to that effort through www.jdc.org. The Jewish Federations of North America is coordinating with the Jewish Coalition for Disaster Relief to assist victims of natural or man-made disasters on a nonsectarian basis. The coalition is managed by the JDC, which is the Jewish Federations’ foreign aid agency, and consists of organizations including the Union for Reform Judaism, United Synagogue of Conservative Judaism, World ORT, Jewish Council for Public Affairs, AJWS and American Jewish Committee, among others. In the wake of the Southeast Asia tsunami, the federation movement raised more than $10 million for the JDC’s $18 million-plus relief effort. The federation movement spearheaded a nearly $30 million aid effort for victims of Hurricane Katrina in New Orleans and the Gulf Coast, creating a blueprint for collective disaster relief. The Jewish Federations of North America also has opened its own disaster relief mailboxes when Jewish communities were affected in other disasters, such as fires that swept across Southern California. “Our hearts go out to the victims of this terrible tragedy in a nation already suffering from so many challenges,” Jerry Silverman, president and CEO of the Jewish Federations of North America, said after Tuesday’s quake in Haiti. Meanwhile, the Hebrew Immigrant Aid Society is urging the U.S. government to grant Temporary Protective Status to Haitians now in the U.S., which would allow Haitians here temporary refuge if they are unable to return to Haiti because of the disaster. HIAS and 24 other refugee societies sent a letter to Secretary of State Hillary R. Clinton and Department of Homeland Security Secretary Janet Napolitano, calling upon the Obama administration to quickly arrange TPS for Haitians. The earthquake was the strongest in Haiti in 200 years. The National Palace and United Nations peacekeeper headquarters were among the many buildings that suffered damage.